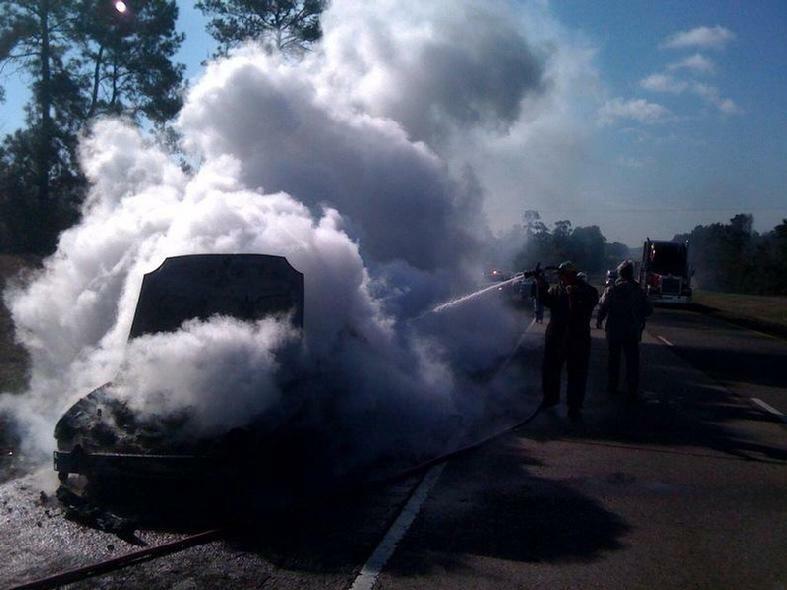 Attached are some photos of the TDC auditor car fire which occured on Hwy 59 North in Corrigan, on February 09, 2010. The story my husband Vernon got from the driver of the car is as follows: He (the driver, I dont recall the name believe it was Danny) was on his way to a unit for an audit, when the car began to give him problems, and he pulled over on the shoulder of 59 when he noticed smoke coming from under the hood of the car. 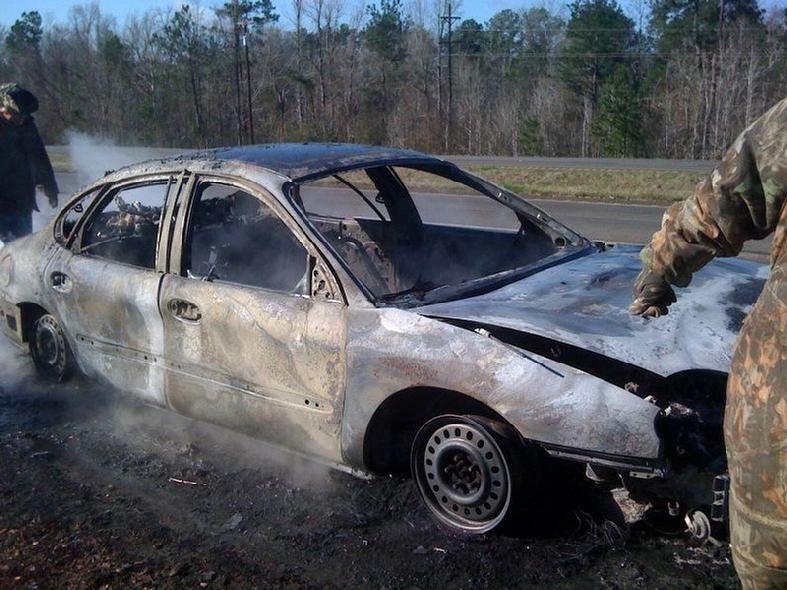 By the time he got out of the car to investigate the car caught fire. 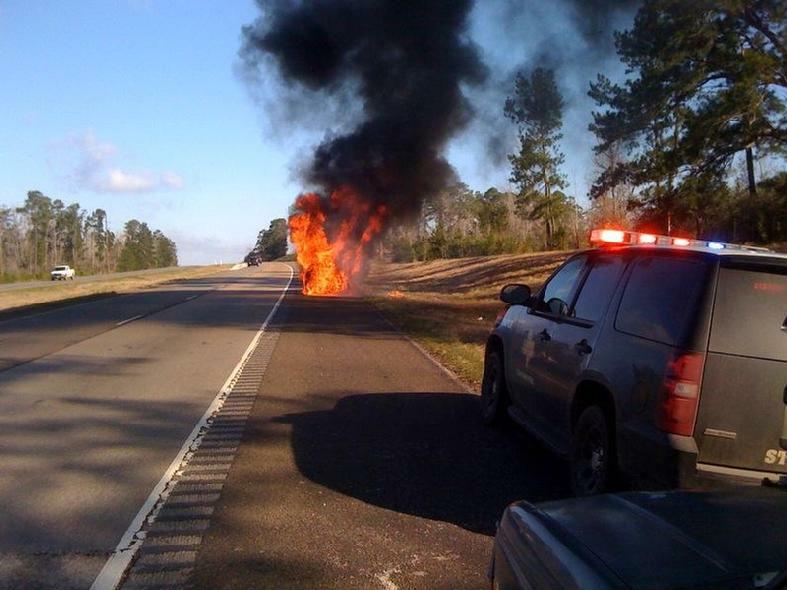 A DPS trooper was South bound on 59 and seen the fire coming from the front of the car. By the time he made the Uturn to return to the site the car was completely ingulfed in flames. The driver was not injured, he sat in my husbands truck, made his phone calls ect and waited for the scene to be cleared. The Corrigan Volunteer Fire Dept put out the flame, a few of the fire fighters names that were on the scene were Buck, Andy, and Dewayne, there were others present, names unkown. Attach are a few of the photos my husband took at the scene.